After attack ads that highlighted the inhumane practices of the UK dairy industry were allowed by the censor, I say it’s time we implement the same treatment locally. The dairy industry is trying to stay afloat after negative press about animal welfare, and the positive response from the dairy-free alternatives that consumers are readily purchasing from supermarkets. 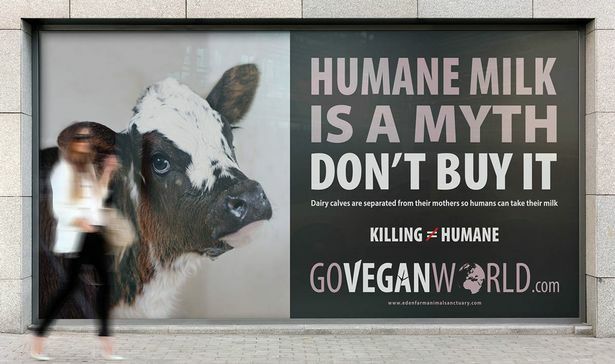 A UK-based animal rights organisation called “Go Vegan World” has placed billboards on bus stops and in trains to raise awareness about the animal welfare issues in the dairy industry. The billboards claim that “humane milk is a myth” and suggest that drinking dairy is not compassionate, even if it is organic, grass fed or free-range. In the UK and across the world, it is standard practice for the dairy industry to forcibly impregnate female cows and slaughter male calves as they don’t produce milk. The UK dairy industry wasn’t happy about the ads they claim is damaging the industry. 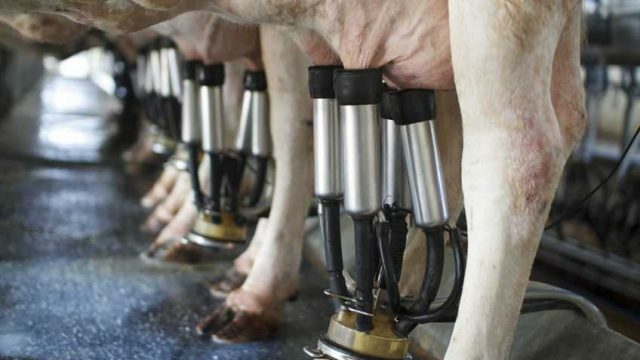 Seven people, some of whom had worked in the dairy industry, complained to The Advertising Standards Authority to get the ad pulled (and ultimately banned) for being “misleading”. The Advertising Standards Authority didn’t agree that the ads were misleading and said, “although the language used to express the claims was emotional and hard-hitting, we understood it was the case that calves were generally separated from their mothers very soon after birth, and we, therefore, concluded that the ad was unlikely to materially mislead readers”. That statement from the Advertising Standards Authority caused a celebration in the animal rights community, because it was confirmation that stealing milk from cows and ripping babies away from the mothers is inhumane, despite it being standard practice in the industry worldwide. It is not about giving up dairy because of the taste – it’s about making kinder choices for the animals. At home and abroad, there are many amazing dairy-free alternatives for dairy products such as milk, cheese, and ice-cream. It is not about giving up dairy because of the taste – it’s about making kinder choices for the animals. There are many companies, including the popular dairy ice-cream franchise Ben & Jerry’s, that are now selling vegan alternatives because of the increased demand. In Australia, we have a vegan ice-cream company called “Over the Moo”. Veganism is a hot topic currently and the demand for more dairy-free alternatives is growing faster each day. I have known about the atrocities in the dairy industry for a few years, and have chosen to give up dairy products because of it. I’m in complete support of the UK campaign against dairy. The truth needs to be out there.